Budgets continue to shrink, but the needs from local residents remain the same. Every expense is scrutinized as communities, schools and local governments try to stretch their resources. Conventional lubricants may seem like the right choice for your budget, but your vehicles and equipment will disagree. 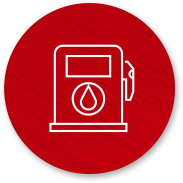 We believe the lubricants you use can offset costs in your maintenance budget. 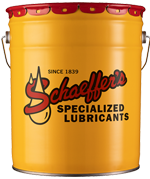 Schaeffer’s lubricants provide better durability benefits than conventional oils. By reducing friction and heat, our products extend your equipment’s service life, which saves you time and money. Longer lasting equipment results in less downtime, which means you’ll have full use of your vehicles and equipment. Need school buses to start in winter weather? No problem. Are engines overheating from too much idling? We can help. Need your snowplows ready to go when snow hits? Our products will help you be prepared. Give us a try! See how we’ve helped counties across the country manage resources and reduce their materials costs. Our lubricants are designed to meet a wide range of OEM requirements. 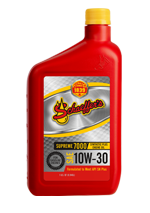 With Schaeffer’s, you get the protection you need without keeping too many fluids on hand. Schaeffer’s products are routinely tested each year, and the results consistently show our oils produce real savings for your budget. Additionally, our products reduce friction and wear, which results in higher performance efficiency and lower operating costs. Where you apply our lubricants is where they stay, and that reduces the amount of lubricants you use. As temperatures heat up, our lubricants resist thermal breakdown and maintain performance over longer periods. Better thermal and oxidation stability, along with our oil analysis, will help you safely extend lubricant intervals. 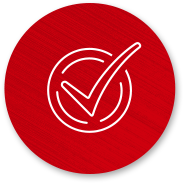 Purchase your Schaeffer products through the BuyBoard to streamline your purchasing while complying with your state’s procurement laws. You get the full benefits of our products and our certified lubricant specialists with less paperwork. 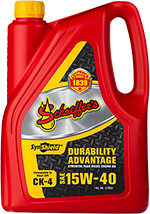 Synthetic plus, heavy-duty diesel oil that provides stronger durability, better soot control and stronger wear protection to equipment working long hours in severely harsh conditions. Exceeds API CK-4. 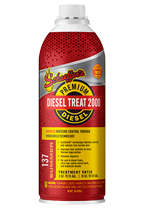 Synthetic plus, heavy-duty diesel oil that provides stronger durability, better soot control and stronger wear protection to equipment running in stop-and-go, excessive idling and short haul situations. Exceeds API CK-4. 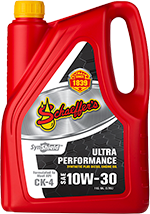 Premium multi-grade, para-synthetic oil formulated to reduce friction and wear, protect against sludge deposits, and provide increased efficiency and fuel economy. 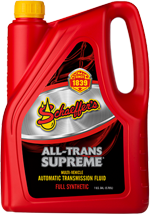 Recommended for gasoline automobiles and light duty trucks including those that are turbocharged and supercharged. 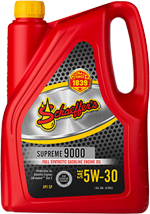 Premium multi-grade, full synthetic oil formulated to reduce friction and wear, protect against sludge deposits, and provide increased efficiency and fuel economy. Recommended for gasoline automobiles and light duty trucks including those that are turbocharged and supercharged. Superior, low ash, para-synthetic natural gas engine oil formulated for stationary 2-cycle and 4-cycle stoichiometric and lean burning natural gas engines. Superior, low ash, catalyst compatible, para-synthetic engine oil formulated for compressed natural gas (CNG), liquefied natural gas (LNG) or liquefied petroleum gas (LPG) powered vehicles. Also used in vehicular natural gas engines that have slider-follower valve trains. Re-refined base oils; fulfills federal directives and mandates for governmental agencies to use recycled/recovered materials. Cleans and prevents deposits from forming in high-pressure common rail fuel systems. Exceeds DW-10 detergency specifications, adds lubricity and contains less than 15PPM sulfur. Summer blend. Cleans and prevents deposits from forming in high-pressure common rail fuel systems. Exceeds DW-10 detergency specifications, adds lubricity and contains less than 15PPM sulfur. Winter blend. Adds lubricity, and protects against bacteria. Meets DW-10 detergency specifications, and contains less than 15PPM sulfur. Year-round blend. Adds lubricity, and protects against bacteria. Meets DW-10 detergency specifications, and contains less than 15PPM sulfur. Winter blend. For gas, pre-2007 diesel and LPG fuels. 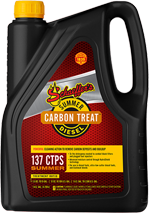 Neutralizes fuel deposits, cleans fuel system components and lubricates upper cylinders. Contains more than 15PPM sulfur. Made from soybean oil, meets DW-10 detergency specifications and upgrades diesel #2 to premium diesel. Contains less than 15PPM sulfur. Upgrades B2-B50 blends to premium diesel, controls moisture and DW-10 detergency specifications. Extreme heavy-duty, multi-purpose, aluminum complex base grease designed to withstand the demands of extreme and intense working environments.. Extra tack, waterproof, synthetic blend, red color grease for use where a clean grease is needed. Aluminum complex. Extra tack, waterproof, heavy-duty grease that meets Caterpillar’s 5% moly specification. Aluminum complex. Low tack, water proof grease with synthetic blend base oils that enable the use of one grease for summer and fall. Aluminum complex. Para-synthetic, multi-grade lubricant for use under severe wide ambient temperature ranges. Para-synthetic, Cat TO-4 fluid for final drives in front end loaders and haul trucks and dozers, and Eaton® (Fuller) RoadRanger and Meritor (Rockwell) transmissions not under extended warranty. Para-synthetic, extreme pressure lubricant with soluble moly for use in enclosed industrial and automotive gear drives. Para-synthetic, non-tacky, extreme pressure lubricant with soluble moly for use in enclosed industrial and automotive gear drives. Para-synthetic, extreme pressure lubricant for use in enclosed industrial and automotive gear drives. 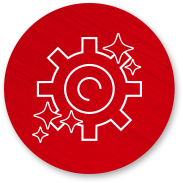 For industrial gear drives, slide and way systems, gear stamping and machine press applications subjected to heavy loading or shock loading conditions. Anti-wear, rust and oxidation inhibited hydraulic lubricant with a high viscosity index. Helps reduce operating temperatures and varnish buildup in valves, and offers excellent thermal and oxidation stability. Full synthetic, multi-vehicle, automatic transmission fluid for use in GM Dexron© III(H); Ford MERCON© and MERCON© V; and Chrysler ATF +3 and +4. Full synthetic, low viscosity, multi-vehicle fluid for GM Dexron© VI; Ford MERCON© LV; and JASO-1A (JWS 3309). Para-synthetic base for higher heat resistance and better cold weather performance. Universal transmission hydraulic fluid. Exceeds most farm tractor specs. Readily biodegradable, environmentally friendly, ecologically responsive, non-toxic fluid for high pressure industrial, marine, construction and mobile hydraulic systems, turbines and circulating oil systems that are operated in environmentally sensitive areas. Meets USDA definition EO 13101 for bio-based products. Readily biodegradable, environmentally friendly universal tractor hydraulic fluid. Meets USDA definition EO 13101 for bio-based products. Lubricates all types of moving parts that have become difficult to operate. Triples protection against corrosion. Biodegradable, heavy-duty, citrus-based degreaser with astonishing clean power that cuts through heavy greases, tire marks, adhesives, soot and more. Check VOC requirements. Biodegradable, heavy-duty, citrus-based degreaser with astonishing clean power that cuts through heavy greases, tire marks, adhesives, soot and more. Low VOC content. Replaces the use of harsh caustics, cleans like a harsh caustic without the environmental and safety issues. Non-flammable; highly concentrated, mix with water. Less concentrated, broad dilution range. 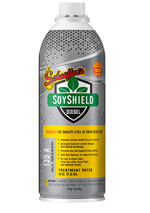 Effectively removes grease deposits, dirt, oils, road soils and soot. Closes punctures and leaks with a permanent seal almost immediately. Prevents flats from punctures up to 3/16”, maintains tire pressure and reduces the risk of blowouts.